Russell Winter of Old Dominion University in Virginia will examine how habitat quality influences helper behavior among young acorn woodpeckers. 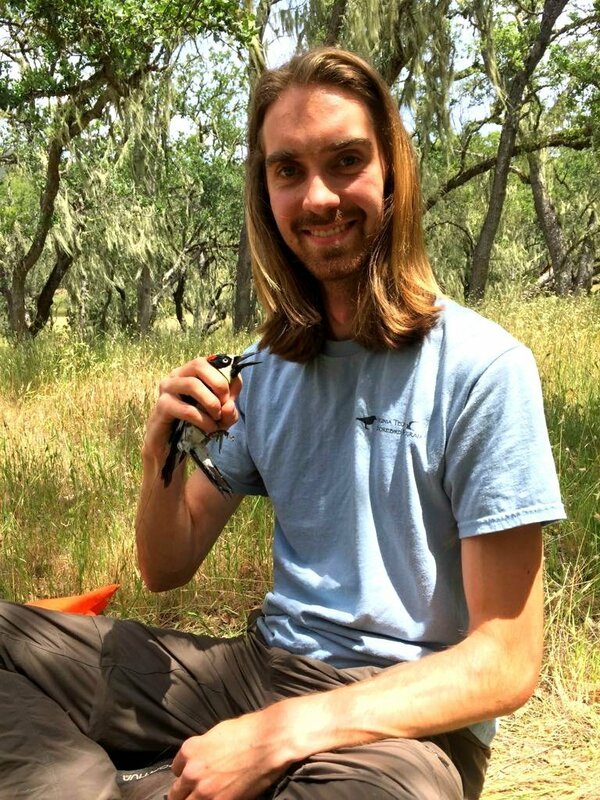 The NRS’s Hastings Natural History Reservation has awarded financial support to two graduate students conducing field research at the Carmel Valley reserve. Kacie Ring of San Francisco State University and Russell Winter of Old Dominion University will each receive up to $1500 from the William Simes Fund. Ring is exploring how host animals affect a tick’s response to the bacterium that causes Lyme disease. While ticks that latch on to deer mice are readily infected by the Lyme bacterium, western fence lizards do not pass on the disease. Yet how these hosts affect tick physiology and immune response remains unknown. Both deer mice and western fence lizards are plentiful at Hastings, making the reserve an ideal location to obtain ticks that have fed on each host species. Kacie will analyze gene function and expression to determine how host species influence tick susceptibility to Lyme bacterium infection. 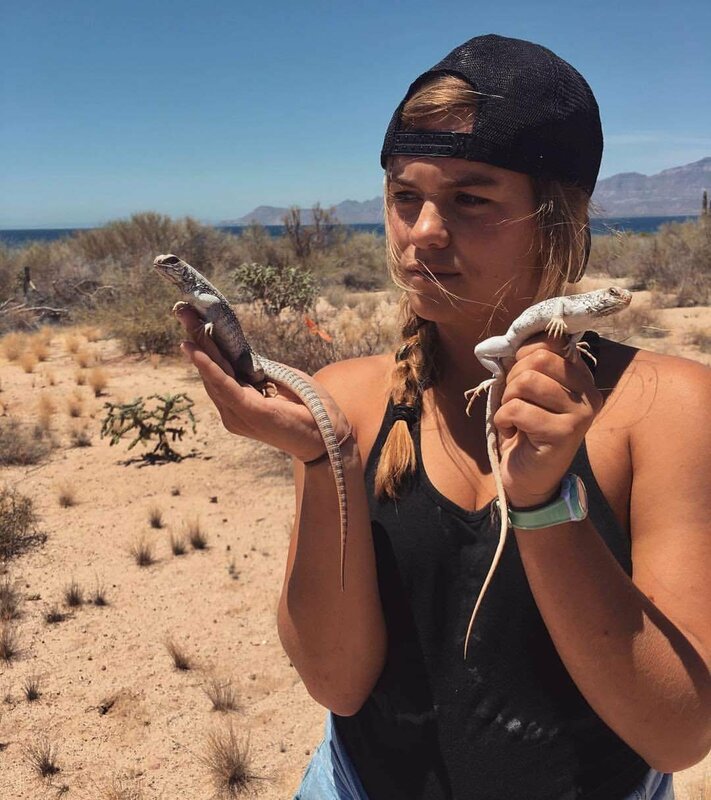 Kacie Ring of San Francisco State University will study Lyme bacterium infections in ticks feeding on western fence lizards and deer mice. A student of long-time Hastings researcher Eric Walters, Russell Winter will contribute to a study of acorn woodpeckers that has been conducted at the reserve for more than 50 years. Russell will research whether the availability of acorns within a woodpecker clan’s territory makes young birds more or less likely to help care for younger siblings. The project tests classic ideas in behavioral ecology about the influence of habitat quality on choices among cooperative species such as acorn woodpeckers. The William Simes Research Fund honors the father of Frances Simes Hastings who, with her husband Russell, donated the land in Carmel Valley that became Hastings Natural History Reservation. William Simes was a New England merchant specializing in the importation of tea. His daughter Frances and her husband Russell purchased land in Carmel Valley in 1929. The grandchildren of Frances and Russell provided funds to establish the Simes Award in 2017. The Simes award is open to graduate students and postdoctoral fellows, as well as exceptional undergraduates, conducting multi-month research at Hastings. To qualify, students must be enrolled in an accredited institution, and be pursuing research in organismal biology, geology, anthropology, or other sciences using study systems available at the reserve. Covering roughly 3,000 acres of oak savanna, chaparral, riparian corridors, and native grasslands, Hastings has been a center for field-based research in Central California for more than 80 years.